It's been quite a long time since we've seen any new Sailor Moon anime. At the Sailor Moon 20th Anniversary Event last summer it was announced that the show would be returning this summer but was pushed back to the winter of this year. Winter is fast approaching, so let's take a look at some of the rumors/facts of the new show that we can expect. This will be a reboot from the original series with a vastly different take following more closely to the manga. The anime will be a series instead of a movie and will air online on the Japanese streaming site Niconico. The show will be in Japanese dialogue with subtitles of ten different languages to choose from. Toonami is looking to bring it to broadcast in the United States. Japanese idol group, Momoiro Clover Z, will be performing the opening and closing theme of the new show. Kotono Mitsuishi and Tohru Furuya, the voices of Sailor Moon/Usagi Tsukino and Tuxedo Mask/Mamoru Chiba are expected to reprise their old roles. Kodansha USA's general manager Dallas Middaugh mentioned at New York Comic Con to expect the new anime to stream on Niconico around January. 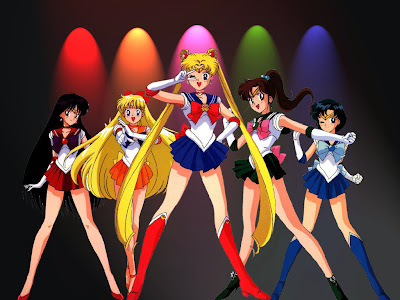 So who is psyched about the return of Sailor Moon and the rest of the Sailor Scouts?